After being released in two eye-catching colourways earlier this month, Jordan Brand lined-up another edition of the Jordan TC, which was well-accepted during its earlier releases. This time, this model will be released in Black/White-Varsity Royal-Pine Green colourway, which will be released on a limited basis based on reports. The silhouette features an upper part made with leather and nubuck and enhanced with the Vis-Air unit on the heel. Watch out for this one and you will definitely like it! Another Jordan Flight TR 97 Hitting Shelves This Month! “Cool Grey” Jordan After Game Out This Month! 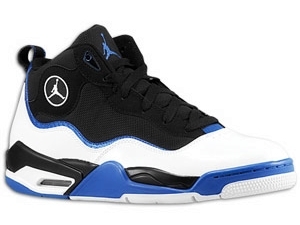 Two New Jordan TC’s Now Available!